Healthcare systems generate nearly a third of the world’s data, and analytics can help to eliminate medical errors, reduce readmissions, provide evidence-based care, demonstrate quality outcomes, and add cost-efficient care. Governments around the world are in a position to have a tremendous impact on healthcare, nevertheless government adoption of health anamatics, the intersection of data analytics and health informatics, has proved challenging. In England, a project was started in 2002 to upgrade the National Health Service (NHS) information systems, including electronic health records and integrated systems. The project wound up being one of the costliest failed projects in world history, as the project was ultimately abandoned, yet still cost taxpayers an estimated £10 billion, or $13-$20 billion U.S. Dollars depending on the exchange rate. The project was plagued with technical challenges, changing requirements, management problems, contractual issues, and disputes with suppliers. In an interview by the World Health Organization (WHO) with Desmond Tutu, chairman of the Global eHealth Ambassadors Program (GeHAP), the importance of governments in fueling technology and e-health adoption was discussed. Governments establish the guidelines and regulations for healthcare and have a great influence on the industry in setting the right policies and strategies, including building an environment for e-health adoption through government funding and health related training. Hamadoun Touré, secretary-general of the International Telecommunications Union cites technical issues, scalability, and politics as major barriers to successful completion, and underscored the necessary cooperation between government and all stakeholders. In the U.S., the government has established a number of organizational agencies involved in various aspects of healthcare. Key government agencies include the Department of Health and Human Services (HHS), Centers for Disease Control and Prevention (CDC), Centers for Medicare and Medicaid Services (CMS), Food and Drug Administration (FDA), National Institutes of Health (NIH), Drug Enforcement Agency (DEA), and Office of Civil Rights (OCR) (HHS, 2017). To give a size of the organizational scope in 2017, CMS has an annual budget of $1 trillion, the FDA has an annual budget of 5 Billion, the CDC has an annual budget of $12 billion, and the NIH has an annual budget of $33 billion. The U.S. government’s share of healthcare spending is expected to grow from 64.3% in 2014 to 67.1% by 2024. The share includes programs such as Medicare, Medicaid, public employee health insurance coverage, and tax savings. The U.S. government’s share is one of the highest global rates, even exceeding countries known for universal healthcare programs. The statistic counters most individual’s ideas that in the U.S. the majority of healthcare is privately funded and operated. Government healthcare cost growth at 5.9% per year is expected to exceed private healthcare cost growth at 5.4% per year through 2025. The faster increase for governmental spending is projected due to Medicare growth from the baby boomer generation, along with government subsidies for health insurance enrollments for low-income applicants. High-performance predictive models can be used to analyze patterns in data to improve readmission rates and fraud detection for government healthcare. For example, in SAS Enterprise Miner, the ensemble modeling is used to combine different models into a single final model with greater accuracy. A common approach is to combine multiple models such as neural networks or decision trees with different parameters applied to a training data set. The final model may be selected based on varying criteria such as error rates or statistical tests. The ensemble method determines the target variables based on the average of the individual models. For interval targets, an average would be used. For categorical targets, a voting method where the most common class would be used. Each model may also be given different weights for the final prediction. Combining predictions from multiple models may improve accuracy. In neural networks, each model and algorithm may produce different outputs, based on the random weights and model parameters. Averaging these neural network models may improve results. 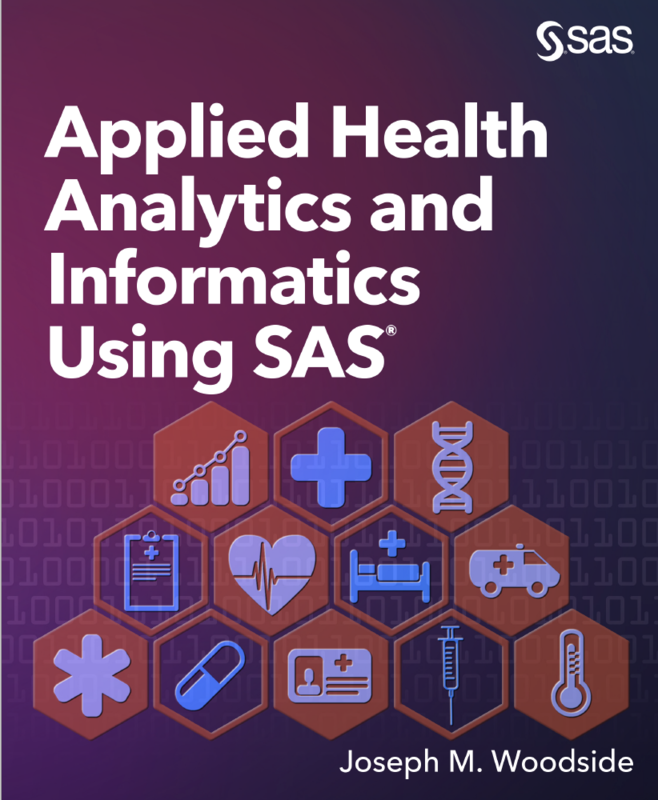 For detailed discussion of the use of using ensemble modeling in SAS for fraud detection and readmissions, check out my book, Applied Health Analytics and Informatics Using SAS®. 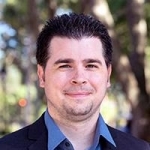 Dr. Joseph M. Woodside is an Assistant Professor of Business Intelligence and Analytics at Stetson University teaching undergraduate, graduate, and executive courses on analytics, health informatics, business analysis, and information systems. He has been a SAS user for over ten years and is responsible for updating the analytics learning goals and course content for the SAS Joint Certificate Program. Before accepting the Business Intelligence and Analytics position at Stetson, Dr. Woodside worked with KePRO, a national healthcare management company, as the Vice President of Health Intelligence, with responsibility for healthcare applications, informatics, business intelligence, data analytics, customer relationship management, employee wellness online platforms, cloud-based systems deployment strategy, technology roadmaps, database management systems, multiple contract sites, and program management. Dr. Woodside previously held positions with Kaiser Permanente, with responsibility for HIPAA Electronic Data Interchange (EDI), national claims and electronic health record implementations, National Provider Identifiers, cost containment financial analytics, and various data analytic initiatives.